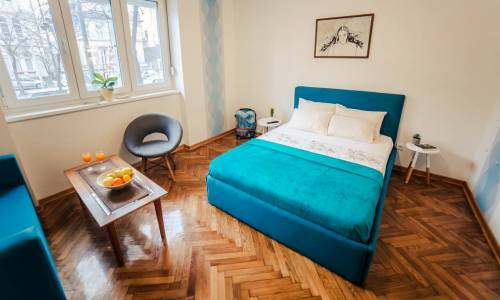 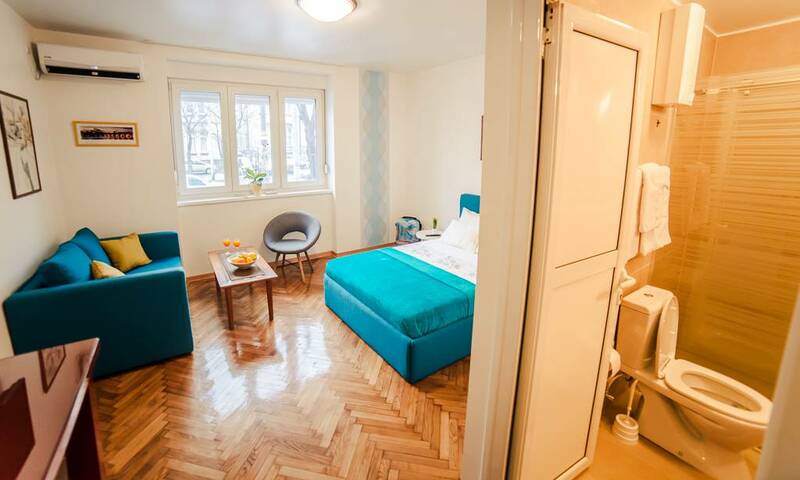 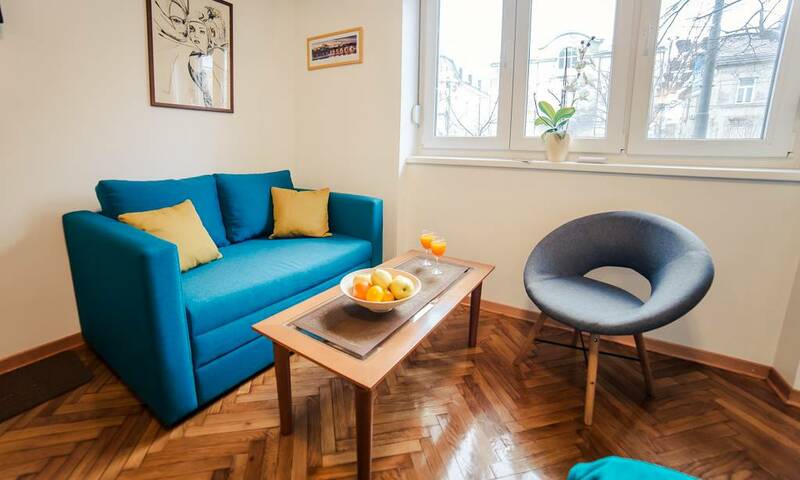 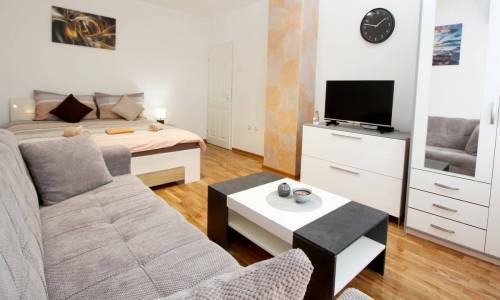 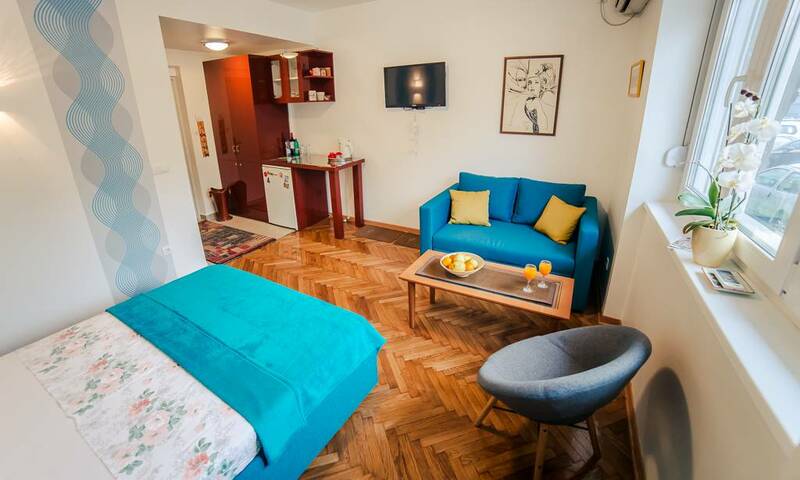 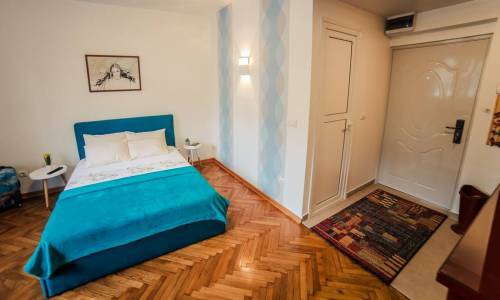 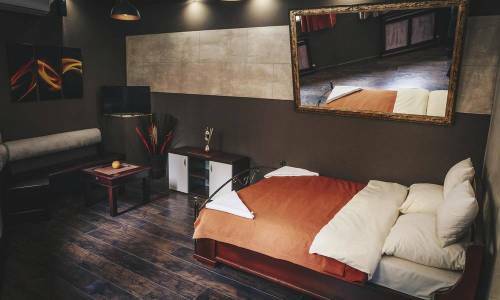 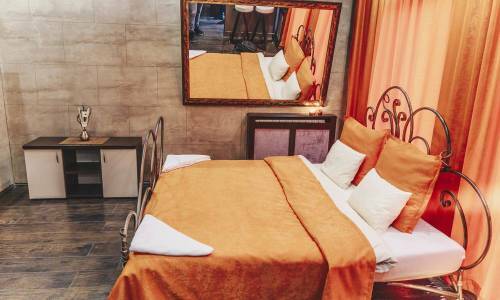 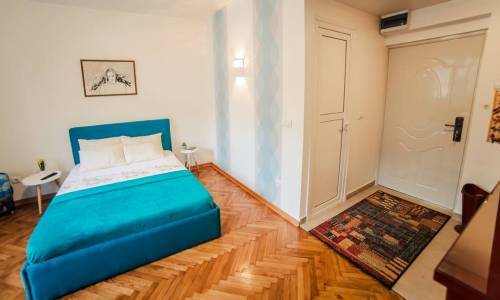 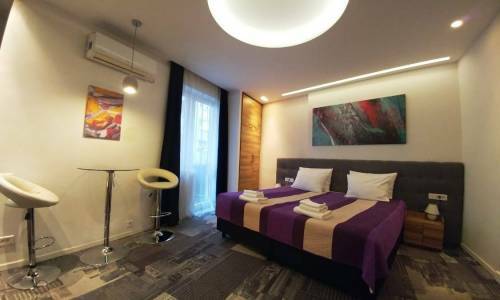 Apartment Mozart is a studio of 20m2, located in Kneza Miloša street, and offers a free parking. 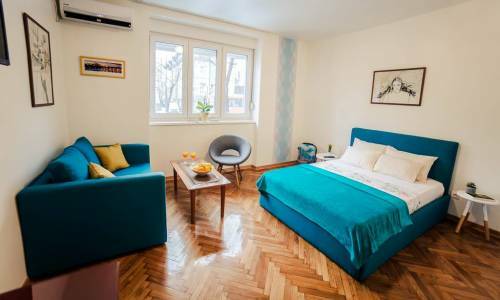 Right next to the apartment you will find numerous Embassies (American, Canadian...), the Serbian Clinical Centre is also near, and the main bus and railway stations are 7 minutes of walking away. 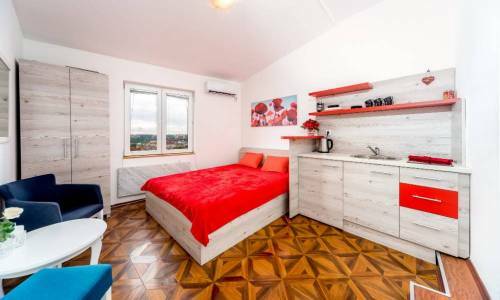 The Slavija square is at the same distance, and access to the Mostar junction and the highway is easy and straightforward. 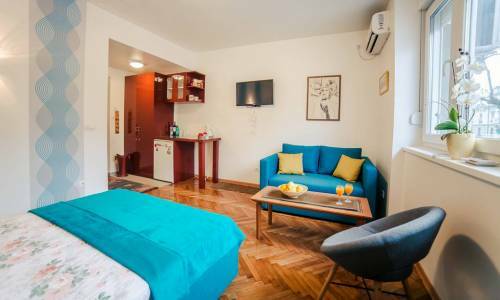 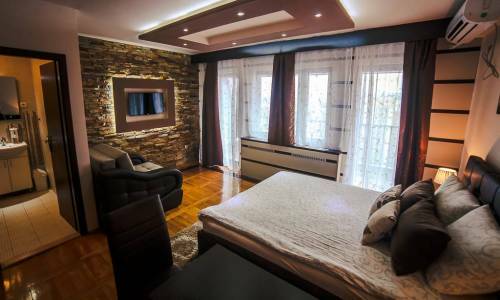 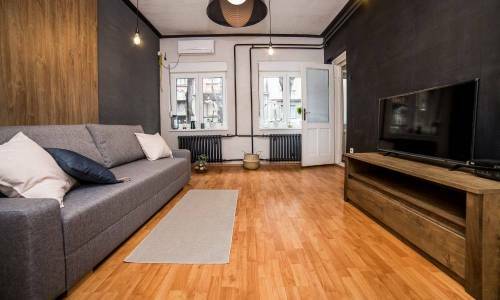 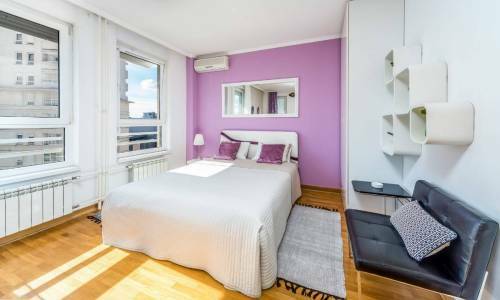 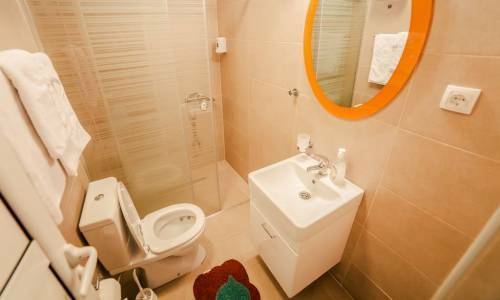 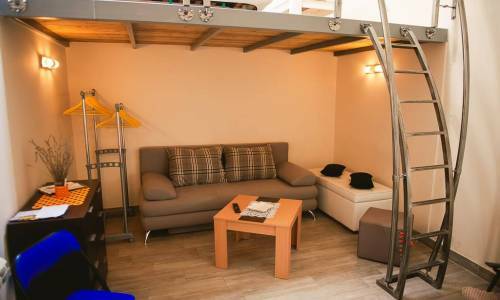 This apartment is interesting for all visitors to Belgrade Fair, as it's very well connected to this location. Studio apartment Mozart offers a rustic and old-fashioned style, and the entire interior has been refurbished, including all the furniture. 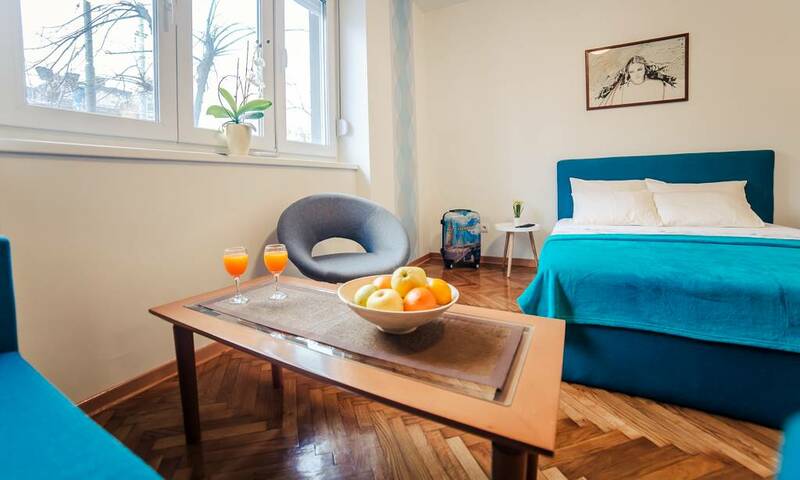 The large double bed is very comfortable and the apartment can accommodate up to 2 persons. Mozart provides a small tea kitchen, suitable for preparing light meals. 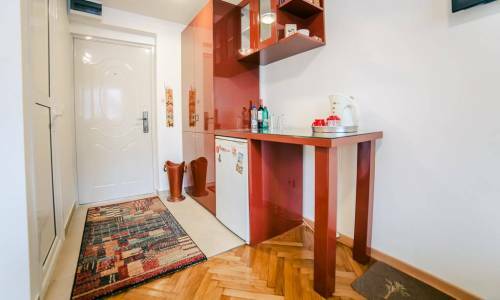 Great advantage of this apartment is a free parking spot in front of the building or inside the building yard. 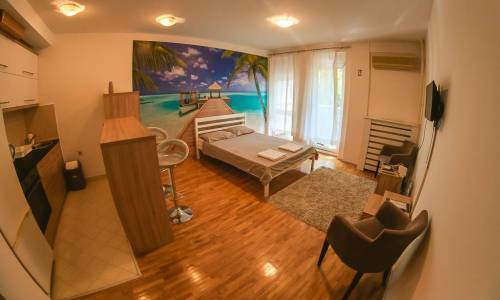 The price is fantastic, especially in case of renting for more than 4 days, and bear in mind that you have the free parking available.